Family Tree DNA is a division of Gene by Gene, a commercial genetic testing company based in Houston, Texas. 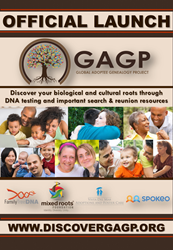 Family Tree DNA offers analysis of autosomal DNA, Y-DNA, and mitochondrial DNA to individuals for genealogical purposes. It is the most popular company worldwide for Y-DNA and mitochondrial DNA, and one of the most popular for autosomal DNA. To learn more, please visit http://www.familytreedna.com. Spokeo is a people search service empowering users with up-to-date, intelligent data about people. Spokeo’s proprietary technology organizes 12 billion records including names, addresses, phone numbers, email addresses and social networks into comprehensive yet easy-to-understand online profiles. Based in Pasadena, California, Spokeo helps users reunite with family and friends, connect with lost contacts, search famous people and discover information about their online footprint. For business users, Spokeo helps companies looking to maintain customers’ contacts as well as learn more about their existing and potential customers. The search tool is used by professionals in real estate, e-commerce, non-profit organizations, government agencies and more. For more information, please visit http://www.spokeo.com, follow @Spokeo on Twitter and like Spokeo at http://www.facebook.com/spokeo. Adoptions and Foster Care Adoptions at Vista Del Mar is a story of evolution: from the first cottage-style orphanage in southern California to an innovative leader in educational, mental health, autism, adoptions and early intervention services, Vista Del Mar has always served with compassion and cutting edge treatment programs. For more information on Vista Del Mar, please visit: http://www.vistadelmar.org. Mixed Roots Foundation is a 501(c)(3) nonprofit organization based in Los Angeles, CA with presence in Minneapolis, MN and San Francisco, CA and serves as the first and only national / global multicultural foundation for adoptees and their families representative of the international, domestic, and foster care adoption experience that leverages philanthropy and grassroots fundraising to support important post-adoption resources for adoptees and their families including mentoring, DNA testing and unique scholarships/grants for the adoption and foster care community. For more info, visit http://www.mixedrootsfoundation.org, like Mixed Roots Foundation on Facebook or Follow on Twitter and Instagram @mixedroots.